The "Jack" was the second and last hotel built in Wells. 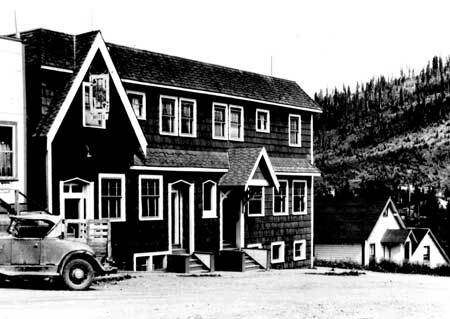 Construction of this hotel was begun in 1937 by a Mr. Frank Keith and George Carlson, a Townsite Carpenter was given the job of building it for him. Keith's money ran out and construction stopped until 1938 when Andy and Vera LaDreche, Vancouver hotelier's built the unfinished building. They completed it and opened on May 25, 1938. The bar had white walls with a wood post and slat decoration and a shingled roof over the bar counter. Battleship linoleum covered the floor. The room was divided into a men¹s and ladies side with separate entrances. 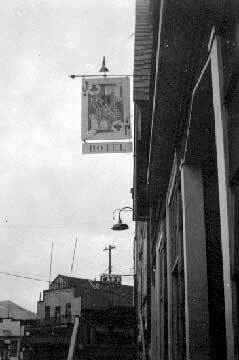 Only beer was served ­ at 10 cents a glass ­ a nickel off the Wells Hotel price (which soon dropped to be competitive). The hotel contained 32 rooms, some with private bath. The La Dreche's accommodated about 20 steady borders ­ all miners, and supplied them with a daily packed lunch. Occasional dignitaries visited such as Baron Von Auslaver, who returned every summer for five years. The Jack burnt down on February 14, 1994. The cause of the fire is still unknown, and the receiver of the Hotel at the time, Bob and Marsha Rea, were lucky to escape, when they were forced to jump from the second story balcony to the street below. Marsha Rea suffered a broken leg. The Wells Volunteer Fire Department arrived at the hotel in only ten minutes and despite valiant efforts were unable to contain the blaze which quickly engulfed the wooden structure32.